[Review&Unboxing] Your Complete Guide to the Mi 5-Series Devices! 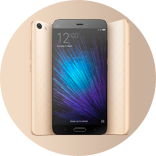 [Other] All About Xiaomi Mi 5s: SD 821 SoC, Specs, Features, Photos and More! [Q&A] Why this divice get over heating during the charging? [Q&A] why fingerprint sensor doesn't work while my finger remains sweat? [Q&A] how to copy and paste from the phone? [Q&A] Can I do backup the dual app version of whatsapp? [Q&A] anyone have this problem? [Q&A] My phone was locked after updating due to existing unknown mi account. [Q&A] cannot be connected to Bluetooth speaker?